I stopped in Rigby, Idaho on my way east. That would be a few weeks ago, now. The Girl needed an outing and I don’t really like to stay in a motel room all the time, so we got out and wandered over to the city park. While we were there, I noticed this old gun. My guess is that it was once mounted on a warship, perhaps from WWII or the Korean War. 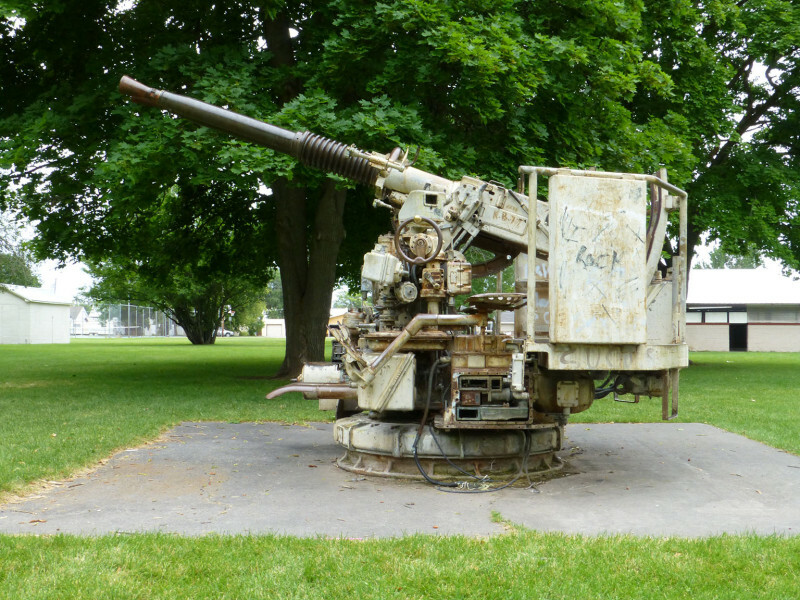 In any event, it now resides in a city park — a reminder of our veterans and the machines they used to do the job. 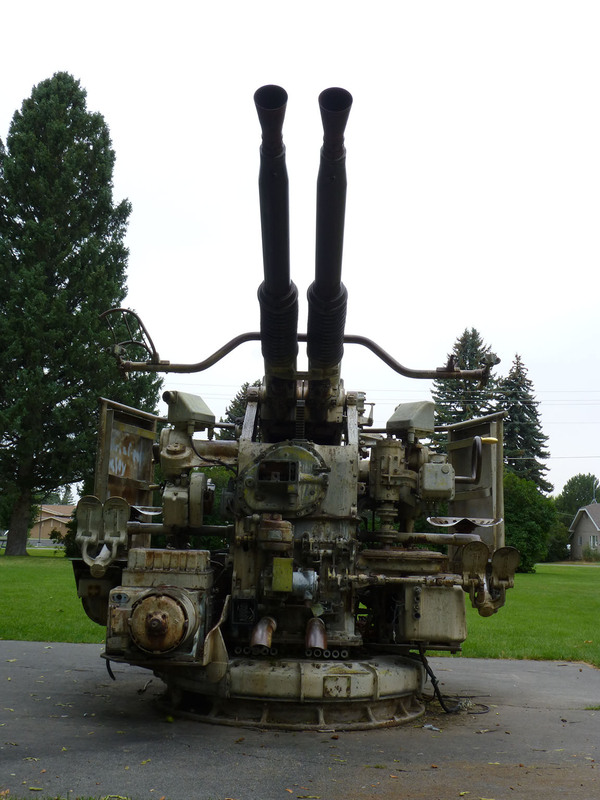 After a little research, I found this article on the Bofors 40mm Gun. If you have an interest in such things, be sure to look through the archive of images. I love historical images and there are some great captures in this archive. I can only imagine what it must have been like to be one of crew members operating this gun. I know that the crew hand fed the magazines using stripper clips of cartridges. That must have been crazy, with all the racket going on, not just of this weapon, but all the others adding to the noise and confusion. There’s a nice video here: FPS Russia [YouTube]. The video is a fun watch. I had so much fun with the gun, that I made a second image. I’m still amazed by this machine… no, I’m in awe of it, especially after watching the video.